It’s a cloudy spring afternoon in Coney Island, and Guardian Angel Jose “Crazy J” Gonzalez is on a routine street patrol with his partner, Jose “Mumbles” Colon. Both are dressed in the organization’s signature bright red jackets and slightly darker red berets. Gonzalez, 39, has been patrolling Coney Island since 1994. He points out the blocks where the drug dealers work, the buildings where the prostitutes stand, and where he says they take their clients and provide their services under the boardwalk. In January, a shooting at a deli on Surf Avenue left a teenager wounded, and another in February wounded an 18-year-old woman. Even the neighborhood’s McDonald’s has been a target for shootings and stabbings. Gonzalez says that incidents like these point to the continued need for the Guardian Angels, to help keep the neighborhoods they patrol safe. 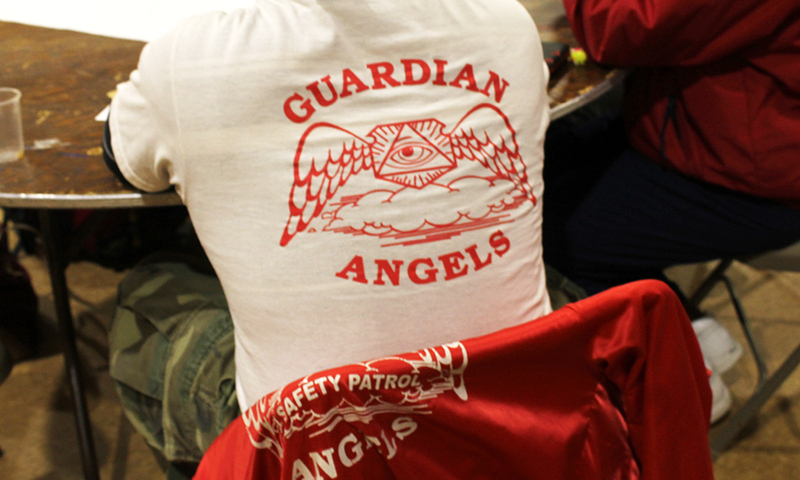 The Guardian Angels formed in 1979 at a McDonald’s on Fordham Road in the Bronx. Led by Curtis Sliwa, who was then the night manager of the McDonald’s, the angels decided to combat crime by having 13 volunteers patrol the streets, subways and crime ridden neighborhoods, including Fordham. In the 36 years since, the angels have gone on to speak in schools about how citizens can take back control of their communities, provide after school programs and patrol many neighborhoods in New York City including: Fordham, Coney Island, Washington Heights, Hell’s Kitchen and Christopher Street in the West Village. 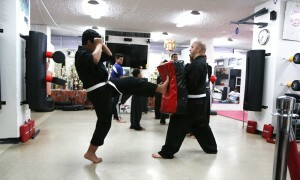 Gonzalez originally joined the Guardian Angels not because he wanted to fight for justice, but because they offered martial arts classes. He was on the way to a subway stop in East New York when he saw a Guardian Angel handing out flyers, and was intrigued when he heard the organization was offering free classes. A few months after Gonzalez joined, he realized that as a Guardian Angel he could also have a positive effect on the community. He was patrolling in a park in Hell’s Kitchen, then a hub for drug dealers, when he felt someone tugging on the back of his shirt. 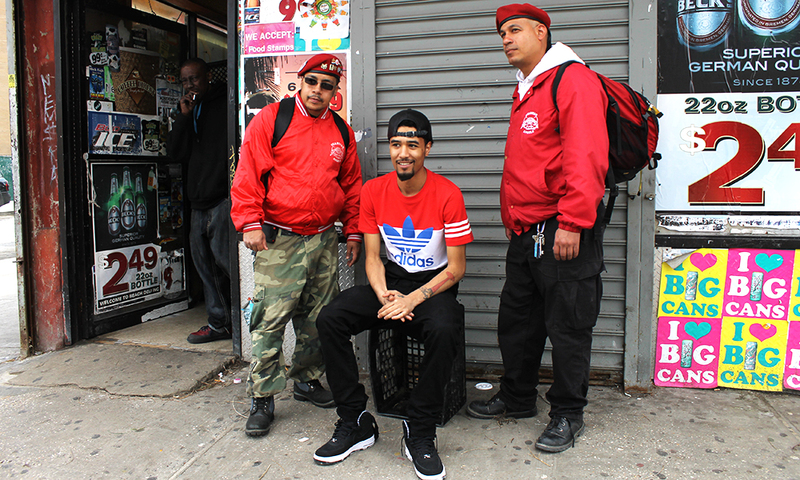 Still, the Guardian Angels were not readily welcomed by all in the neighborhoods they patrolled. Dr. Tracie Keesee, project director for the Department of Justice National Initiative for Building Community Trust and Justice, and a retired police officer, says the relationship between law enforcement and vigilante groups like the Guardian Angels was initially contentious, because the police felt they were being monitored. Veteran Guardian Angel Dennis “Super Stretch” Torres was part of the Guardian Angels when it was founded in 1979. While the Guardian Angels still patrol Washington Heights, the neighborhood Torres works in, the organization has also taken a different approach to crime prevention, running a community center that offers free karate classes for children, as well as defense classes. The center also offers homework assistance and tutoring, and takes children on occasional field trips. Torres and Gonzalez said the Guardian Angel program has helped steer young people away from gangs, and even into the NYPD. “The young teens that we’ve gotten involved in the organization could’ve went either way. We helped them make the decision to become the protectors instead of the predators,” Gonzalez said. Despite recent protests against the NYPD in the wake of the death of Eric Garner in Staten Island, and most recently Freddie Gray in Baltimore, Torres says he and most other Guardian Angels have respect for police officers. Keesee says there is a continued need for The Guardian Angels and other citizen watchdog groups in communities where there is a distrust of the police.